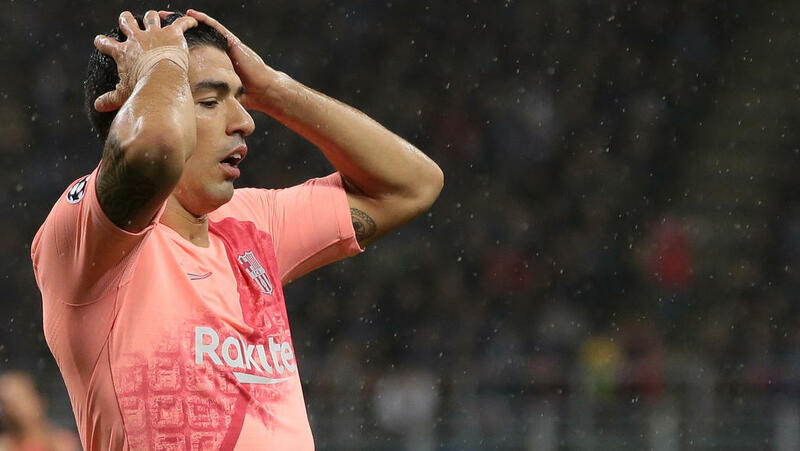 Ernesto Valverde is optimistic Luis Suarez will be fit to face Espanyol on Saturday, three days before Barcelona take on Tottenham in the Champions League. Suarez has been out with a knee injury since Barca's draw with Atletico Madrid on November 24, but the Uruguayan could be available for this weekend's Catalan derby in La Liga. Barcelona then host Spurs in their last Champions League group game but as Valverde's team have already qualified top of Group B, meaning Suarez may still be rested. "We are optimistic for the game against Espanyol," said Barca coach Valverde on Tuesday ahead of go up against Cultural Leonesa in the second leg of the Copa del Rey´s round of 32. "Tomorrow he will not be available but we hope he is for Saturday. It does not mean he is going to be but we are optimists and that is what we want." Valverde would not be drawn on the results of the Ballon d´Or, which crowned Luka Modric the winner in Paris on Monday and placed Barcelona´s Lionel Messi in fifth. "I will not go into assessing whether the prize is right or not, I'm not the one who has to explain it, they are," Valverde said. "We congratulate Modric in any case because he is a great player." Barca hold a 1-0 advantage over Cultural Leonesa going into the match at the Camp Nou after Clement Lenglet scored the winner in the first leg.